Katie Luther's Brew is the final result of an idea from the Northeast Pennsylvania Synod. In the small town of Kutztown, Pennsylvania a local brewery is doing its part to honor the 500th anniversary of the reformation. Saucony Creek Craft Brewery + Gastropub was brewing Katie Luther’s Brew, a beer named after Katharina von Bora, also known as Katharina Luther, the wife of protestant reformation leader Martin Luther. 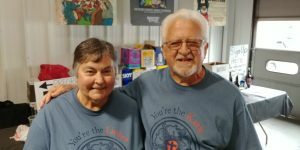 The idea for a beer sale originated during a meeting of a group of ministers from the East Berks Mission District, one of the local mission districts, a subsection of the Northeastern Pennsylvania Synod. The 35 congregations in the eastern part of the county worked together on the project. This particular area has 80 ELCA congregations. Pastor Bruce Osterhout of Zion Evangelical Lutheran Church in Shoemakersville said, “We have sold 975 750 ml. bottles of Katie Luther’s Brew working with sauconycreekbrewing.com”. They sold out much quicker than they had expected, even with local hype burdening the pre-order website. The tasty dark hefeweizen (wheat) beer is based on an original recipe from Mrs. Von Bora and debuted on May 5, 2017 to a queue of over 550 online preorders. 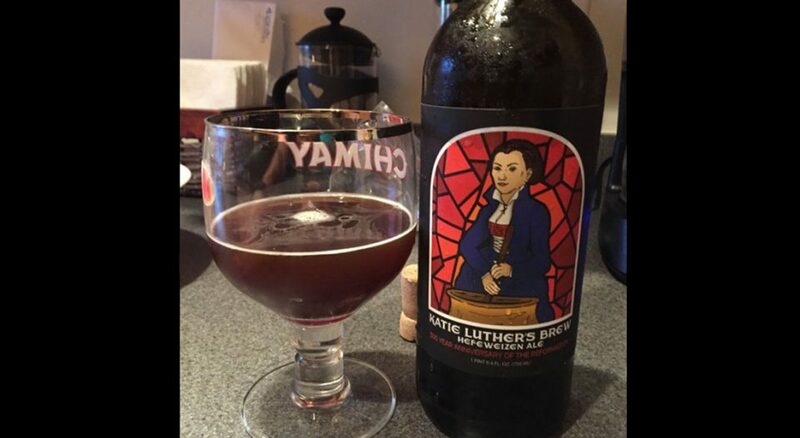 Proceeds from the sale of Katie Luther’s Brew will benefit the United Lutheran Seminary’s scholarship fund. Customers can’t seem to get enough of the tasty beer which has been described as having a “very nice malt start with a bread/banana finish” according to users on the beer-based social network “Untappd”. Many customers at the brewery highly regard the beer and it is becoming a bit of a tourist attraction for individuals visiting the area. Martin Luther and Katharina von Bora both have well-documented love of “home brewed” beer as Luther wrote about many times. To quote Martin Luther himself “Whoever drinks beer, he is quick to sleep; whoever sleeps long, does not sin; whoever does not sin, enters Heaven! Thus, let us drink beer!” When Martin was overcome with several illnesses and ailments, Katarina brewed him specific ales with medicinal herbs to help him out of sickness. In letters that Luther sent to his wife, he would consistently claim that he missed their home brew beer (as well as his wife) and would talk in some depth about the various qualities in their home brewed beer. 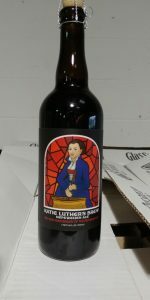 Looking for another reformation themed brew? Pastor Bruce says “We intend to produce Martin Luther’s Malt in September, 2017 just in time for the Reformation 500 celebrations”. They anticipate selling out with pre-orders as interest and the taste of the previous brew was wildly popular. Jonah Berg-Ganzarain is a summer intern with ELCA Strategic Communications. He attends Bentley University in Waltham, Mass.